If you’re getting married in a few weeks time and you think you’ve left it too late to look amazing, think again. If you’re going on holiday soon and want to look and feel your best whilst laying on the beach, you still have time to get there. Have you ever wondered just how Hollywood actors can get “ripped” and “toned” within weeks? Well, I can tell you. They go on a cut much like boxers and MMA fighters do. If you want to keep, and tone, your muscle whilst at the same time blasting that fat away within a short period of time you will have to do what they do. You don’t have to diet for months to get amazing results. You just have to work hard and eat clean. For a 3 week period you have to be committed! In Castle Clean Cut we have created the ultimate 3 week program. 3 Full Body resistance training sessions and 2 High Intensity Fat Blasting Cardio sessions a week to get you looking as toned and slimmed down as you ever have. This is NOT a crash-diet with loads of exercise. The daily calorie intake for a 140lb woman on this program is around 1700Kcal! It’s all about working hard and eating clean. 15 Personal Training sessions, 5 sessions a week and obviously it comes with a meal plan. This package will get you looking your best within just 21 days! I’m not going to lie to you; This is will require dedication! For 3 weeks you will have to follow the meal-plan. That means NO FAST FOOD! NO CHEAT DAYS! And, maybe most importantly, NO ALCOHOL! There are no short-cuts during these three weeks. The sessions are intense, I expect you to push yourself and give 100% every session. If you don’t think you can do that this is not the program for you. However if you are committed to succeeding you will see amazing results. It’s intense and not for the faint of heart but if you want something you’ve never had you need to do something you’ve never done. Get looking great for your big day! Look amazing on the beach! Or just get a motivational boost by seeing results fast before going on your way to a healthy life-style. Want to look your best on your big day? This is for you! 15 Personal Training sessions at our private studio over a 3 week period. A meal plan to stick to for 3 weeks. You choose the foods you eat from the list we supply! All the support you need. You will see your trainer 5x a week! We will motivate you, we will not allow you to stumble! And you get all this for just £550! If you Bring a Friend you only pay £400 per person! 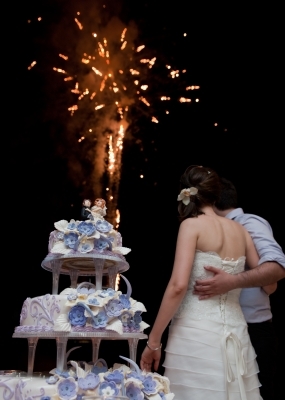 For this package we also do a special “Getting Married” price. I’m fed up of companies hearing the word “Wedding” and immediately thinking of you as a cash-cow! If you are a couple and want to look amazing for your big day you get an extra discount. You only pay £750 for the both of you! All in all; it’s an amazing deal on an amazing program and the best value amongst Personal Trainers in Edinburgh is still with Castle. Check out what we mean by “the full package” and obviously contact us if you have any questions.